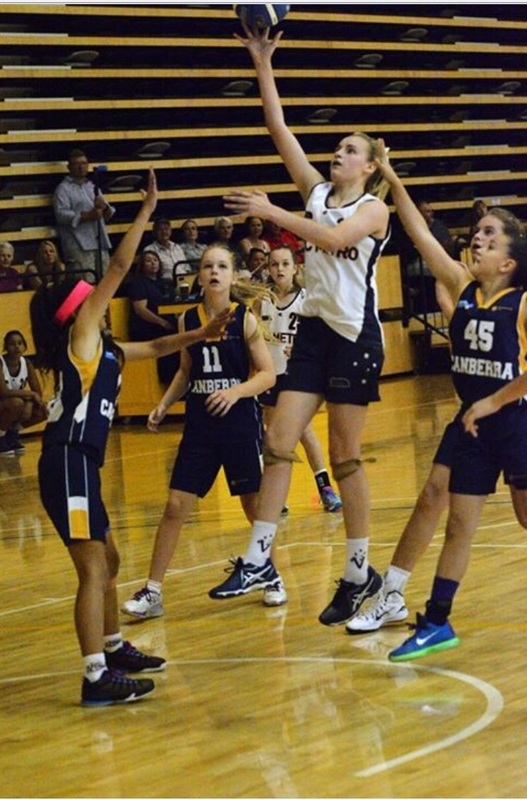 Paige is a Year 8 student who plays Basketball for Knox Raiders and is in the Dandenong Rangers WNBL Academy. Hi Paige, how has your basketball started in 2016? Really well thanks. The team I captain, Knox Raiders – Under 14s, are undefeated in the 5 games played this year. It’s a strong team and we have won our last 70 games together since Under 12s. It has been a great start to the year. You play a remarkable amount of competitions every year, can you go through some? 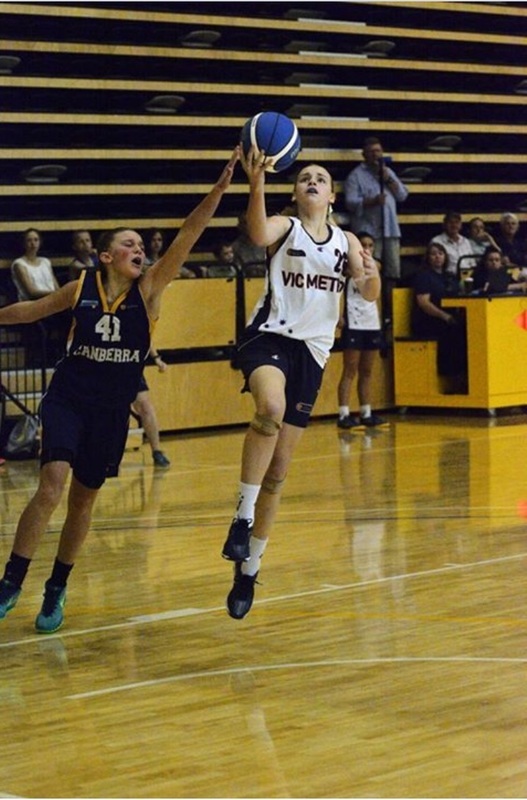 Each year we play in the Victorian Championships which involve teams from the metropolitan and country areas. 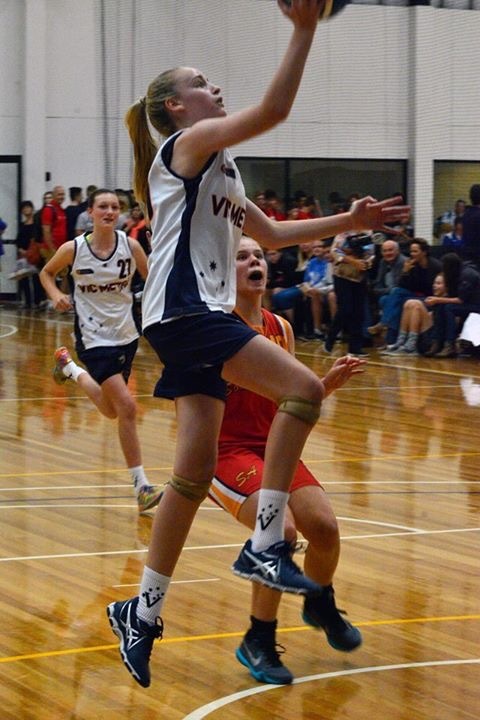 We also play in the Easter Classic, National Junior Classic, Southern Cross Challenge for Victoria, Club Nationals, and last year the Pacific Games where we versed the other States and Territories of Australia plus India. My mum got my sister and brother into basketball from an early age because she played in the WNBL with players such as Michele Timms and Lauren Jackson when she first started out. I started playing domestic at 5 years old with Uma Miles-McCabe and with my sister Ebony as a 7 year old. 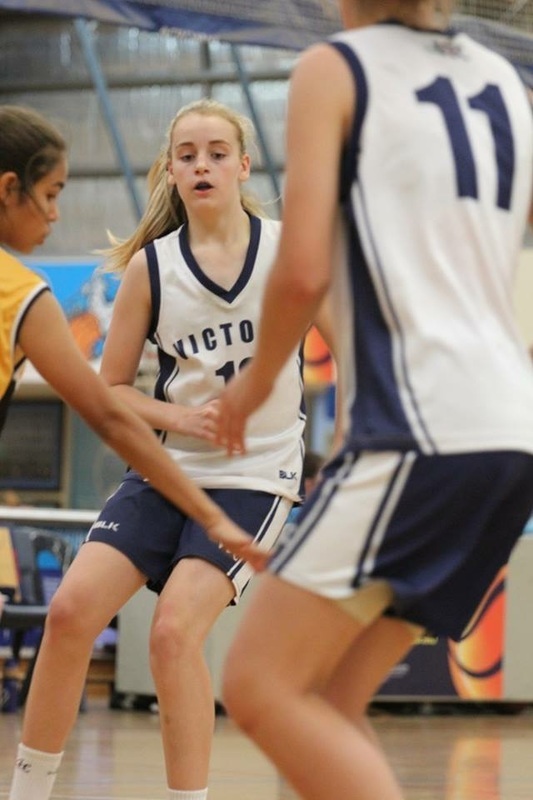 After one year as an 8 year old in the Melbourne Tigers Under 12s 4th team, I was moved up into the U12s 1st team from ages 9 to 11 where we competed in the Easter Classic, National Junior Classic and Victorian Championships. We have won gold at the National Classic and State Championships, and silver all the other years. You often played in teams with and against older players, how do you find that? I am sort of used to it because I started playing against older people from 8 years old, it has become normal. There are obvious challenges facing older opponents but it will happen all throughout my future anyway. In 2014, when you were 11 you broke your arm, can you please tell us about that? Sure. I was going for a layup during a game and was tunnelled (opponent knocks the feet underneath) and landed on my right arm which I compound fractured. I spent five weeks in a cast and 3 weeks rehabbing just in time to win the U12 National Junior Classic for Knox with a sleeve over my arm to cover the splint. At the same time I had Regional Athletics and was representing the Region in discus, shot put and javelin. My athletics coach at the time got me practicing with my left hand which I did in the competition finishing 2nd in all three events. By the time States came around I was throwing with my right hand again and I won the discus event moving onto Nationals where I came 5th. Incredible story, well done. You are also a part of the Dandenong Rangers WNBL academy? That’s right. I am there as a development player where the WNBL coaches and assistant coaches spend 3 hours training us every third Sunday. I am the only 12 year old in the squad as most are between 15 and 18 years old. Proudest achievement on the basketball court to date? Captaining Victoria at the Pacific Games last year was a highlight for sure. We were undefeated and had an average winning margin of 60points, in the final we beat Queensland by 43 points. That was a great experience. Also, probably two of the games where I scored over 20 points, 10+ rebounds and 10 assists; and when I got a quadruple double which is double figures in four categories. You have an amazing memory about the events you participated in and results you achieved? I guess I train or play basketball everyday so I am always around it. Dad and I always are talking about various events and competitions coming up so I find it easy to memorise how our team has done in the past. What are your goals for the year and your future? This year we would like to go through undefeated in all competitions including the National Junior Classic, Victorian Championships and Club Nationals. In the future I would like to go play College basketball in America. They have such a strong basketball culture and program over there, some schools I’d like to go to are UConn and TCU.